Study: Recall a time in your life when another person made a profound difference in your life. How did they show you support? Pray: Ask the Lord for the wisdom and insight to be a human agent for divine love. Pray for an open heart to be guided by Christ! Serve: Who in your life would benefit from your service and kindness right now? Is it family, a friend, a co-worker, or an acquaintance? There are many ways to say, “I love you.” Some people do it easily with words, others use gestures, physical closeness, empathy, or service. Sometimes it happens when we respond to the unspoken questions or needs of another – anticipating the situation without even having to be asked. Other times it is merely our presence, when we sit or walk with another beyond the necessity of words; at times like these it is simply the awareness that we are not alone that gives us strength. 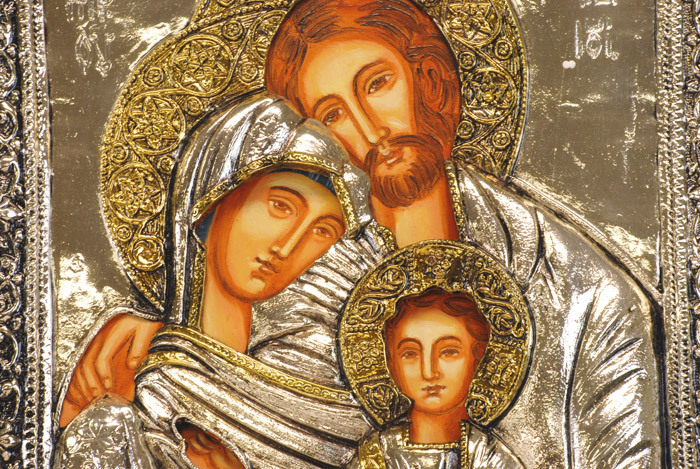 Within the Holy Family we can talk about the practical ways that Mary and Joseph cared for and loved Jesus. Providing for the Lord’s basic needs, showing affection, teaching, offering safety, and guiding with earthly wisdom are just a few of the examples that reveal how they provided a home for their son. On this feast we can enter more fully into the gift of Mary’s life – as a mother. The intimacy and connection between mother and child is profound. There is a closeness – something physical, relational, and spiritual – that often uniquely touches our lives. While it’s true that there are times when we are closer/farther from our moms, we can recognize that this bond has the power to connect with something deep within our souls. The Feast of Mary, the Mother of God is a celebration where we can comprehend a bond that we share with the Lord. Like us, he possessed this earthly connection with his mom – a connection that underscores how Christ comes to us and bridges the gap between Heaven and Earth so that we might know God. 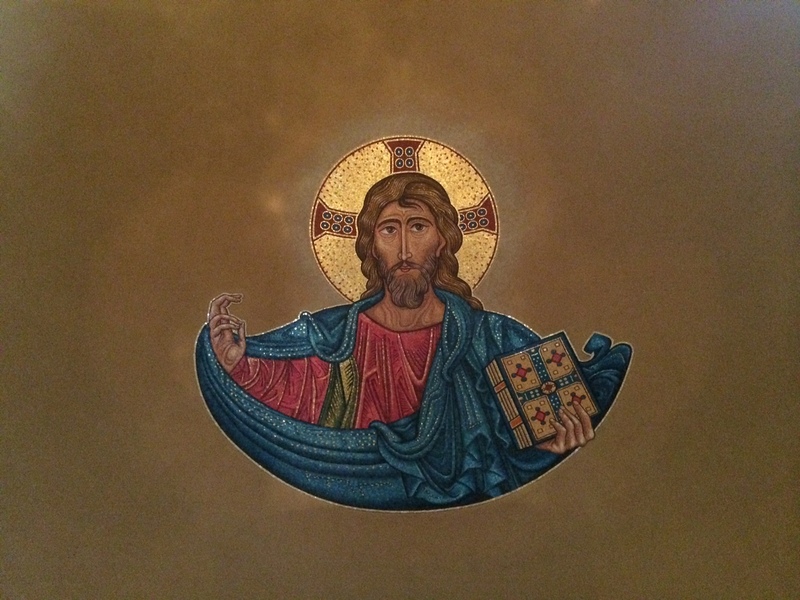 The Lord became like us (in all things but sin) so that we could draw near to the Almighty – there is no obstacle, no boundary, no barrier that prevents us from encountering God. Within the context of this mother/son relationship Mary had countless opportunities to say, “I love you” to her boy. She said it with words, conveyed it with caring and comforting actions, and demonstrated it with subtle expressions of affection. Since Jesus became like us, then he also received the blessings and joys that come from being loved in this very human, very powerful way. As we enter into this New Year, how will we say, “I love you” to the Lord? How will we reveal our love for Christ in the faces of our brothers and sisters? Perhaps it’s with a word of encouragement, a random act of kindness, anticipating a need, or responding to a situation. May we eagerly look about for ways to show our love – to the people in our lives and the Lord who put them there. Study: What one thing can you choose to do this Christmas to make it better? Pray: Ask God for the help to do that one thing wisely and well! Serve: How can you help someone make their Christmas better? When Scrooge finally awakes on Christmas morning, he is a changed man. Filled with joy and newfound hope, he begins to live his life very differently from the day before. 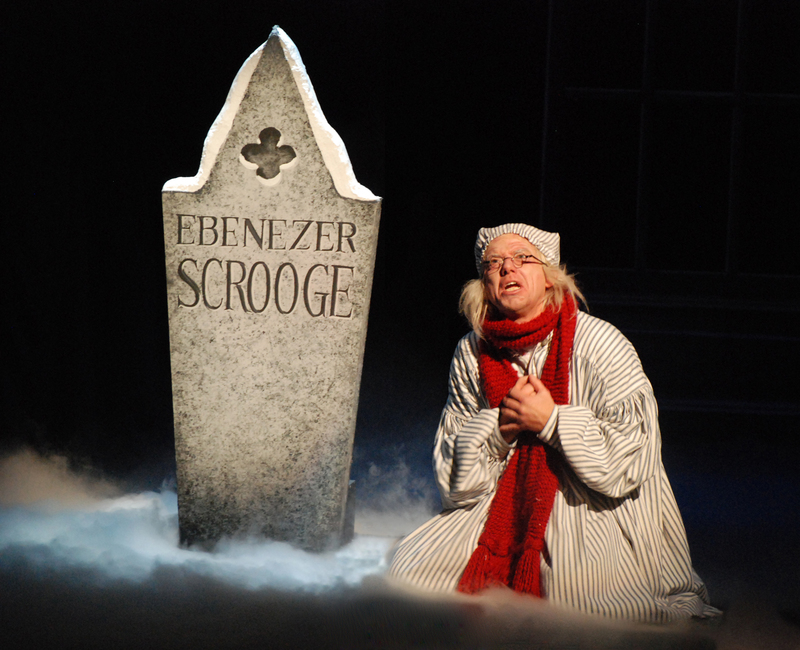 Reaching out to the people in his midst, Scrooge recognizes the beauty and richness that has always been around him. 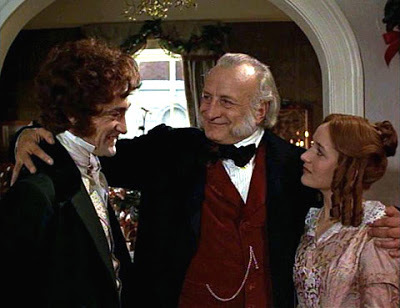 Whether it’s buying an enormous turkey for the Cratchit family, wishing a small boy “Merry Christmas!”, accepting a dinner invitation at his nephew’s home, or raising Bob Cratchit’s salary, what we discover is that Scrooge is transformed. He has recognized something powerful in his life, and he is following a new course of action. In the Gospel today Mary greets her kinswoman Elizabeth, who also recognizes something wonderful has happened. The baby in Elizabeth’s womb leaped for joy – a sign that God was present in a powerful way. Elizabeth understood that God was working in Mary’s life, and she responded to this insight accordingly. There comes a moment in our lives when we discover something new. Perhaps we have seen a mistake in the past or regret an action that we have done; at these times we encounter a reason to hope and start over. We have a reason to live. The reason? Christmas joy! Our lives are transformed by the grace of Christ; through the birth of Jesus all barriers between heaven and earth have been removed and we are united with God. Once we throw open the doors of our hearts, the power of the Christ child brings a renewal and healing – we live in hope! It is this sense of hope which can give us new life. Emerging from doubt or despair, we rediscover that God walks with and among us – helping us in moments of sadness and leading us to peace. Yet God requires that we actively accept this invitation. The promise of hope needs our action, and it relies on our willingness to follow. Scrooge provides an example for us. With the help of the Spirits of Christmas, he saw a world filled with very different possibilities. He discovered that he need not be unhappy; he could change his life and embrace the joys which were all around him. His willingness to see, judge, and act become an inspiration for us – reminding us that life gives us opportunities to change our ways and follow God’s call. As Elizabeth recognized God’s presence in Mary, we too are invited to discover the Lord in our midst. May our eyes be open to see God among us, and may we respond with hearts that are open to the abundant love which is our inheritance. Study: Recall a time when you were confronted with a tough decision. What helped you to make and carry out your choice? Pray: Ask the Lord for the wisdom and guidance to make daily decisions that are filled with grace. Serve: Is there someone in your life facing tough decisions right now? How can you help them? There comes a point in A Christmas Carol where we begin to understand Ebenezer Scrooge. We’ve seen his past, present, and future – how he’s interacted with people – and we come to crux of the matter: will he make a change? Will he embrace the warnings and lessons of the Ghosts and chart a new course for his life? Every person has a story. Every person has had moments of joy and sadness, success and failure, blessing and burden. Yet in the course of our lives we have been given the gift of choosing how we will live; the Lord offers us the freedom to accept or reject a life of love. We, too, have been given opportunities to reflect and decide how we will live. What do we choose? In the Gospel today Mary greets her kinswoman Elizabeth, who also recognizes something wonderful has happened. The baby in Elizabeth’s womb leaped from joy – a sign that God was present in a powerful way. Elizabeth understood that God was working in Mary’s life, and she responded to this insight accordingly. There comes a moment in our lives when we discover something new. Perhaps we have seen a mistake in the past or regret an action that we have done; at these times we encounter a reason to hope and start over. We have a reason to live with joy. Study: When was the last time you went to Confession? Serve: Is there anything in my life that is keeping me from genuninely helping others? 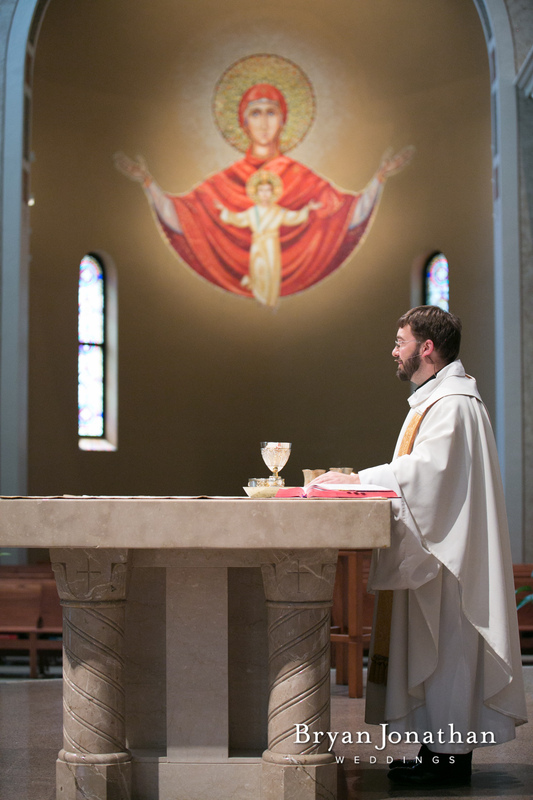 This homily was given at a communal penance service at the Cathedral on December 13, 2014 prior to the opportunity for individual confessions. The theme “Taking out the Trash” was used to convey that just as we need to remove the garbage from the kitchen (before it starts to stink), we also need to look into our hearts and remove what does not belong. The encounter with grace offers us the courage to look honestly and trust that the Lord will give us the strength we need to turn to him and experience his mercy, forgiveness, and love. Study: When have I said “yes” to something important in my life? What blessings came with this yes? What challenges came as well? Pray: Ask the Lord for the wisdom and guidance to say “yes” following the example of Mary. Serve: How can I help support someone who is preparing to say “yes” to an important decision? How can I help someone follow through with their choice? There are times in life when we say “yes” to important decisions. These are moments when we formally embrace a commitment, a responsibility, and an obligation to live in a certain manner. At times like these we define ourselves and reveal to others what we value. Mary’s “yes” to the angel Gabriel professes an acceptance of the Lord’s call at a level of profound power. Her words testify her openness to allow the Almighty to work through her – becoming the human agent through which the Son of God would come into our world. The child born in Bethlehem would change human history forever. Yet this “yes” comes with a poignant cost. She will face hardship, violence, displacement, and the agony of watching her son suffer upon the Cross. The cost reveals that our most important decisions are rooted in the reality that parts of life are painfully difficult – we recognize that our choices will place heavy demands upon us. 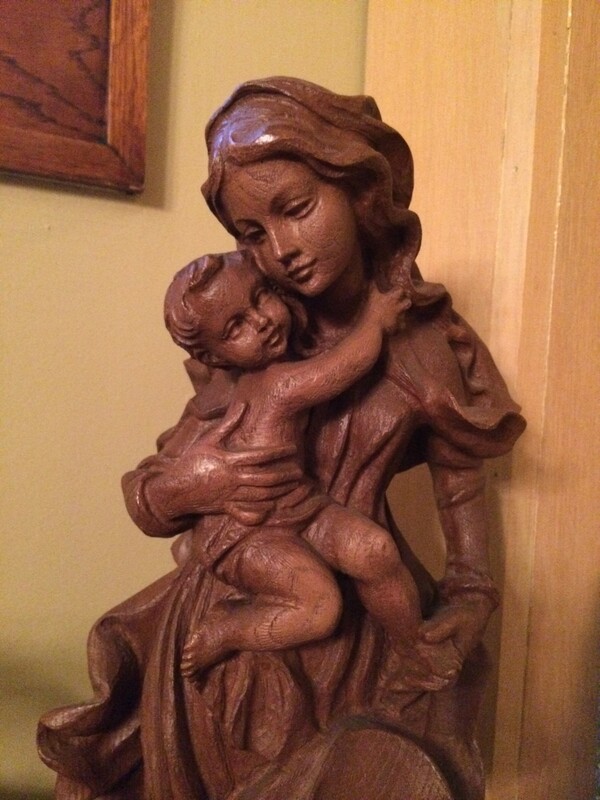 And yet, Mary’s example can inspire us to know that just as God supported her, God supports us. Our “yes” is strengthened and sustained by the Lord’s grace. Jesus suffered, died, and rose that we might have the consolation of his grace to help us. Our “yes” is not made in isolation; we walk with the Lord who guides us. May Mary’s intercession direct our words as we follow her example and say YES to her Son – the Lord Jesus Christ! Study: Who are the messengers in my life? Who are the people who have alerted me to blessings and burdens in my life? Pray: Ask the Lord for the openness to hear these messengers and take their words to heart. Serve: Who in my life and I called to offer a message? What do I need to say…and what do they need to hear? 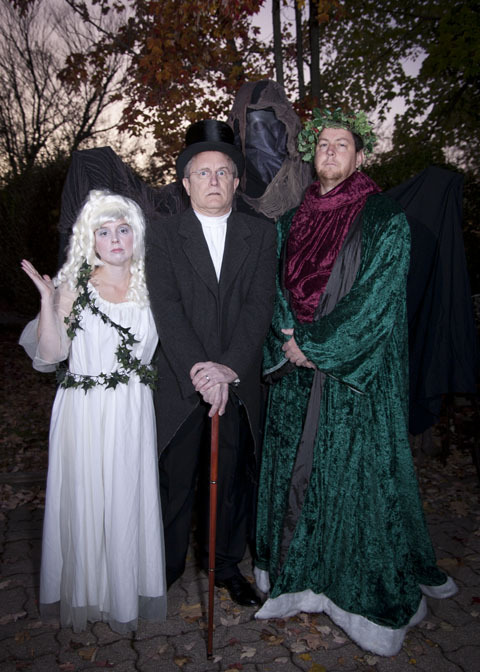 The Spirits of Christmas play a crucial role in Scrooge’s conversion. Their task is to show images of Christmas throughout time, revealing how the holiday is filled with blessings. In the images they reveal Scrooge learns the error of his ways, as feelings of guilt, remorse, anger, and sadness wash over him as he watches the effects of his life choices. It is important to note that the three Spirits of Christmas are messengers. They are the heralds who reveal to Scrooge the meaning of Christmas. Yet they are not the holiday itself. Their presence in the story points to the power of our choices – where our words and actions over time make tremendous effects upon our life. As Scrooge discovers how his life might have been, he begins to yearn for a better and happier one. In the Gospel this week we discover another messenger. John the Baptist arrives, baptizing people and proclaiming God’s wonderful deeds. People flock around him, inspired by his words and longing for hope. As the crowds come to John they ask him, “What should we do?” as they pursue their lives. To each John answers with justice and fairness. He speaks with power and might, filling the people with expectation. Many begin to wonder if he is the Christ. John answers immediately: NO! There is one coming who is mightier. John is merely the messenger, pointing the way to Jesus. Like the crowds, we may often find ourselves looking for those who bring hope. We may discover in life an unhappiness, a dissatisfaction with ourselves and the choices we have made. We look to many remedies, yet we know in our hearts that our longing will only be satisfied by God alone. Perhaps their are people in our lives that have a message for us to hear; may we be open to their words and take them to heart – trusting that their insights can help us on the journey of life. Perhaps their are people in our lives that we are called to offer a message; may we have the courage to speak up – offering and directing others to insights that can help them embrace the power and beauty of life. During these last few days of Advent, may we recognize in our lives the messengers sent by God to announce the Good News of Christ. As we prepare our hearts for the Lord’s coming, we have the opportunity to look within and discern the path we have taken through life. We can ask “What should we do?” as the challenges of life appear. May we trust that the Lord will make His will known to us, inviting us to follow with full and open hearts.